aKademy 2006 - Decibel - You Are Not Alone! Decibel - You Are Not Alone! Decibel is a service architecture designed to integrate real time communications methods like Voice-over-IP, instant messaging and video chats into the desktop experience. Building on the Tapioca framework, which encapsulates protocols like SIP or XMPP/jabber used for communication, Decibel extends those offerings with a component called Huston, providing a desktop wide service architecture for PC based real time communications. The implementation of both Tapioca and Huston are operating system and desktop independent and form the basis of the KDE4 specific Decibel component framework. This framework will enable the user to interact with the Huston layer. Leveraging other KDE4 technologies like KWallet, Akonadi and Phonon, Decibel will provide components for common user tasks like account management, signalling the presence of friends on supported communications networks and setting up and accepting connections to or from other users. Additional components to support collaboration of users on specific tasks are planed. These components will enable developers to effortlessly integrate communication and collaboration features into their applications. Currently Decibel is still in the conceptual state. At this time we are committed to using Tapioca as a basis for our work. The design is worked out and the implementation of the Huston layer has started. Once this layer is ready to support real applications we want to adapt some of KDE4 applications to use Decibel. After having reached a state at which we can offer a stable set of features we want to pursue advanced use-cases requiring the use of several protocols in conjunction to fulfil user expectations (i.e. by having a live video conference including a whiteboard). More information on Decibel can be found at decibel.kde.org. Tobias studied computer engineering (Technoinformatik) at the university of Kaiserslautern, Germany and got involved with the linux community during that time. Although an avid user who has followed KDE development since long before version 1 he did not become actively involved with the project until more recently. Upon graduation he worked in Cologne as a consultant for a company specializing in systems management. 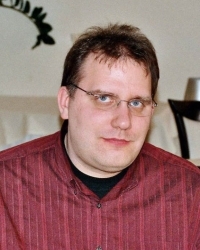 After being hired as a software developer at BasysKom GmbH in Darmstadt, Germany, Tobias got more involved with KDE when asked to provide specifications and finally an implementation of the Decibel framework.